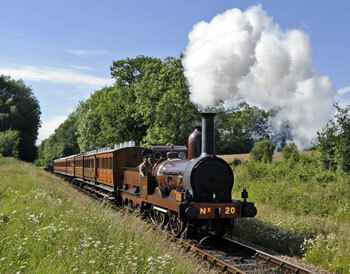 Welcome to the section of the website devoted to the oldest working standard gauge steam locomotive in Britain! The FRT flagship has returned to the FRT's base at the Ribble Steam Railway at Preston after 9 years spent largely on hire to Locomotion - the National Railway Museum at Shildon as Operational Locomotive in Residence. FR20 is steaming at the Ribble Steam Railway until its current 10 year boiler "ticket" expires in July, after which its second heavy general overhaul in preservation will begin. We hope you didn't miss Furness Railway Number 20 starring in the Dickens biopic "The Invisible Woman"! The movie charts the Victorian novelist's attempts to keep his lover Nelly Ternan secret after the pair were caught up in the fatal train crash at Staplehurst in 1865. 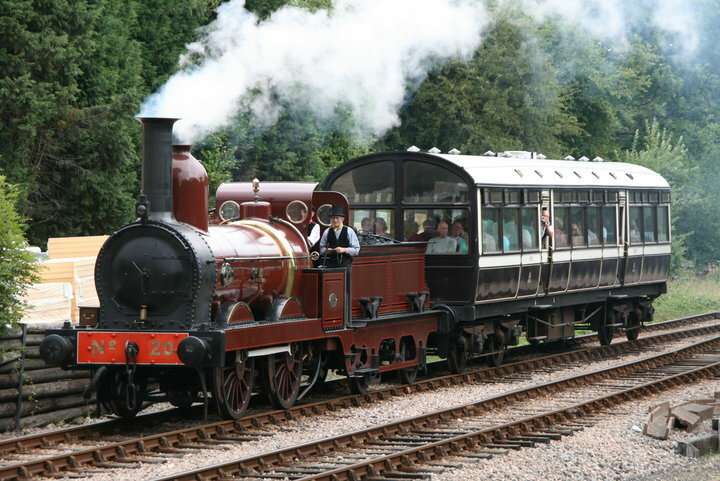 FR 20 was the only choice to haul the train, having been built in 1863. 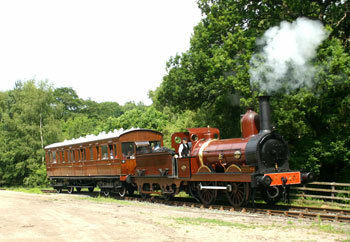 Filming with FR 20 took place on the Bluebell Railway in 2012. During 2012, FR20 became one of the select number of locomotives to be chosen to haul the Royal Train! No, we don't mean the FRT's own Royal Saloon, which happened in 2010, but a train for a real live Royal - HRH the Duke of Gloucester. This special duty happened shortly after FR20 arrived at the Severn Valley Railway. The veteran was the obvious choice to mark 150 years since the opening of the line. 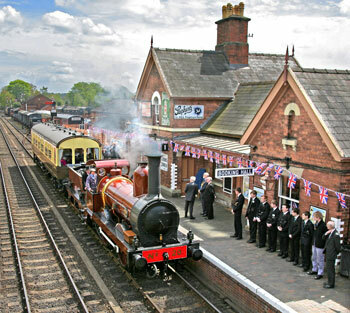 FR20 had the honour of hauling its first Royal Train on May 14th, taking the Duke of Gloucester from Kidderminster to Bewdley to unveil a plaque marking the anniversary of the first trains. The train is seen here as it arrives at Bewdley. The locomotive stayed on to take part in an annivesrary gala weekend. 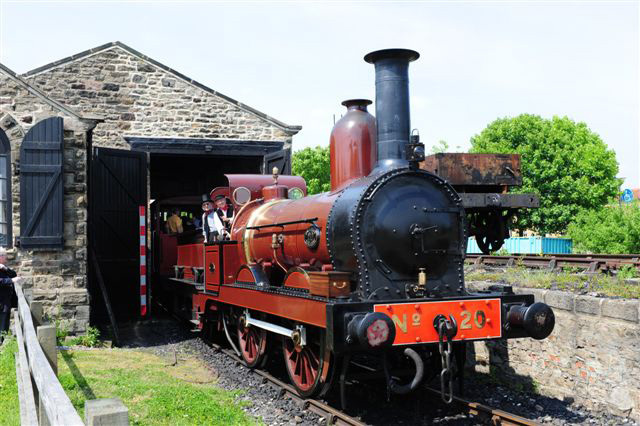 FR20 had started the a lengthy UK tour in 2012 at the Ribble Steam Railway in Preston. This was FR 20's first visit to the FRT's new home base. It starred in the February gala weekend, which drew almost one thousand visitors - double the crowds seen at the same event 12 months previously, and stayed on to haul Easter weekend and April Sunday services as part of the RSR's special events to mark the Preston Guild celebrations which happen every 20 years. Next stop was a return visit to the Midland Railway - Butterley to haul Vintage Trains across the May Day Bank Holiday weekend. The line has an enviable collection of Victorian carriages, which are best hauled by the most vintage working steam locomotive in the country! In June FR20 returned for the third time to the National Railway Museum in York which was staging a second Railfest for the Olympic year. This is centred around "Record Breakers" and FR20, being the oldest workable main line engine, was a must-have star attraction! From static display at York, FR20 moved to the Bluebell Railway for filming of "The Invisible Woman, before making another "first" visit, to the Middleton Railway in Leeds for a landmark gala, marking 200 years of commercial steam haulage at this historic preserved line. Now the veteran is back at Locomotion - the National Railway Museum at Shildon in County Durham, the birthplace of the railway - where FR 20 has spent much of the last fiveyears as Operational Locomotive in Residence, including pairing up in September 2011 with the FRT's GWR 0-6-2T 5643 for the GW themed Steam Gala - the first time the pair had been together since 2007. Click here to see planned steaming dates but please note these are subject to change and you should check with the relevant site before travelling. 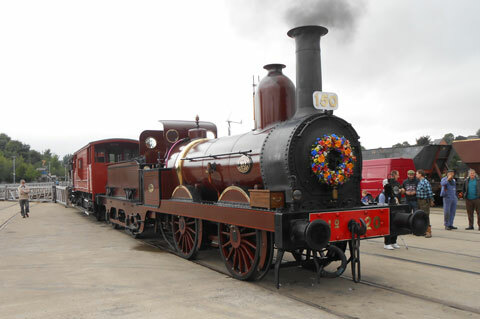 The locomotive was returned to action, after its first heavy overhaul in preservation, in July 2008. Every ten years locomotive boilers must be removed and examined by the boiler inspector. See the photo-gallery charting the progress of the overhaul. The locomotive was put back together, and approved for another ten years' service, in time for the engine to return to traffic for its final series of Victorian Evening specials on the Lakeside and Haverthwaite Railway in August 2008. 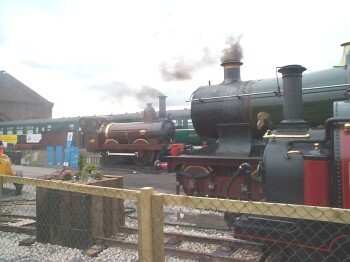 It appeared in the L&HR's 2007 Steam Gala, alongside Trust stablemate 5643 - the first time the two engines have appeared in action together. For a decade its starring role was the annual summer season of Victorian Evening specials. Passengers enjoyed a night out with Furness Railway Number 20 and the Trust's Victorian North London Railway 2nd Class Coach - plus a cruise on the 1891 Furness Railway-built Windermere lake steamer MV Tern. During the 2004 season an amazing photo of the Victorian engine and train was taken using a Victorian camera. This website has an up to the minute guide to where FR Number 20 is, and what it's up to. Built in 1863, our flagship locomotive was restored to its original condition in a £140,000 project. Discover the engine's amazing story, unravel the riddle of its true identity, see the picture gallery, and read the book! Furness Railway Number 20 is truly a star of stage and screen. As well as "The Invisible Woman", the Gwynneth Paltrow blockbuster, "Possession", also starring FR Number 20, was shown to audiences in cinemas around the country. The engine has appeared on the smaller screen too - playing a major role in a programme filmed for TV's Discovery Channel and making a dream come true for a Lancashire youngster on CBBC. 2010 saw a hectic schedule for the loco, with its first visit to the double track of the Great Central Railway at Loughborough, before it revisited the renowned Beamish museum in County Durham to haul the FRT's former Royal Saloon, then made the very long trip south to the Bluebell Railway in East Sussex. In autumn 2008, FR No. 20 undertook a tour of the North East of England, visiting the Tanfield Railway, Locomotion - the National Railway Museum at Shildon and Beamish. See the pictures, and read how Furness Railway Number 20 took West Yorkshire by storm on its visit to the Keighley & Worth Valley May 2000 gala....! As a working museum piece, it is not appropriate to use Furness Railway Number 20 on general service trains but as can be seen here, there is extensive demand for the Victorian locomotive to star at special events around the country!